Thinking of taking a short break in Bordeaux? We have put together an introduction for wine lovers, so you can get the most out of your visit. The undisputed wine capital of the world and the largest wine growing area in France, Bordeaux is a mecca for wine lovers everywhere. Vines were introduced to the area by the Romans and wine production there has continued ever since, from everyday vin de table to expensive premier cru. The area produces mainly red wines from blends of the following grape varieties: Cabernet Sauvignon, Cabernet Franc, Merlot, Petit Verdot, and Malbec, though it also produces smaller quantities of sweet white wines (Sauterne), dry whites and some sparkling wines (Crémant de Bordeaux). In Bordeaux you will often hear of wines being referred to as ‘left bank’ and ‘right bank’, this is because there is a notable difference in the type of soil and the varieties of grapes grown. The terms refer to the areas geography, with the left bank located to the south west of the Gironde Estuary, and the right bank located to the north east. The left bank wines use a high percentage of cabernet sauvignon, are high in tannins and famously age very well. All first growth* wines are from this area. The smoother right bank wines are made from predominantly merlot grapes and include Pomerol, St. Emillion and a number of smaller satellite appellations. Another term you will hear frequently, used only for the 5 best wines from the area. These are among the world’s most highly rated and expensive wines; Chateau Lafite Rothschild, Chateau Latour, Chateau Margaux, Chateau Haut Brion and Chateau Mouton Rothschild. The term dates back to the Bordeaux Wine Official Classification of 1855 when the ‘Premier Cru’ status was first awarded. As you would expect there are a number of specialised wine tours around the Bordeaux area, some offering day tours, others offering multi-day tours. It really all depends if you are more interested in exploring the lovely city of Bordeaux (more of which in a moment) or if you are seriously interested in learning about the wine produced here. If you do plan to visit the vineyards independently then book well in advance, most chateaux only receive visitors by appointment. Going with a guide means that you will learn a great deal more about the area and its most famous export. 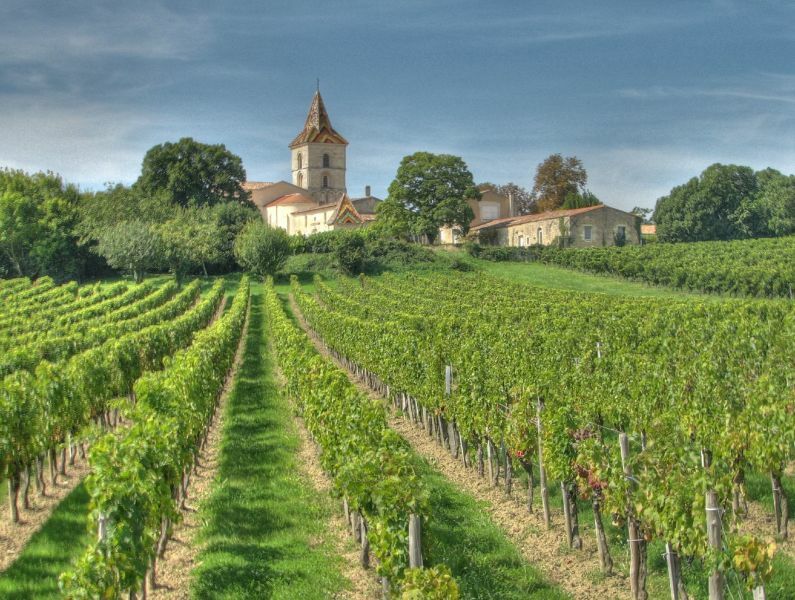 Our 3-night Bordeaux wine tasting tour includes 2 full days of wine tasting, private transfers with a knowledgeable English-speaking guide to both left bank and right bank vineyards, and 2 gourmet lunches. By then end of it you will know a great deal more about Bordeaux wines than when you started! The city itself (the sixth largest in France), home to the largest urban World Heritage Site in the world, has undergone extensive renovations in recent years; with a state of the art tram system, restored facades and revamped riverside it is a pleasure to wander around. It offers superb restaurants (as you would expect), great shopping and a lively nightlife. Perhaps the most interesting attraction is the striking Cité du Vin, a spectacular, state of the art wine museum shaped like a decanter that opened its doors in 2016 and is well worth a visit during your stay. Place de la Bourse, the impressive town square and most instantly recognisable part of the city was built in the 1720s is now famous for its water mirror, an infinitesimally shallow pool that reflects the grandeur of the surrounding buildings. The left bank of the Garonne is a recently reclaimed area where you can now enjoy a panoramic stroll or bike ride along the waterfront. Go shopping on Rue Sainte-Catherine, a long pedestrianised street full of famous brands and smaller independent shops. If that doesn’t appeal head to the Jardin public which offers a pleasant green space in the city where you can relax and enjoy the shade of the trees. There are also a number of interesting monuments and buildings worth your time like Bordeaux cathedral, the Monument aux Girondins in the Esplanade des Quinconces and the Grosse Cloche (clocktower), silent for most of the year except Bastille day celebrations. So there you have it, if you would like to know more, contact us at info@activitybreaks.com. If we have missed something out let us know in the comments below.